Sixers insider Jessica Camerato is out at NBC Sports Philadelphia, the latest in a long list of departures from the network. 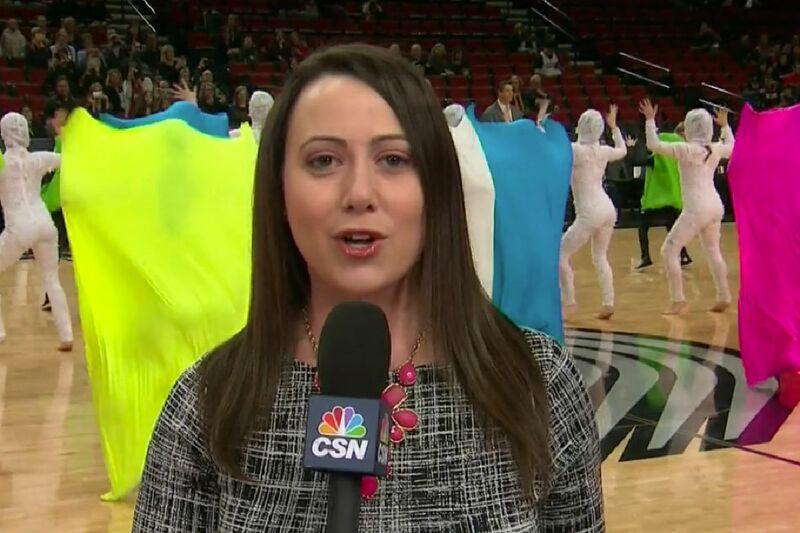 Weeks after making local and national waves following its decision to part ways with sideline reporter Molly Sullivan, NBC Sports Philadelphia is saying goodbye to another Sixers personality. Jessica Camerato, who has covered the Sixers for the network since January 2016, announced on Twitter Thursday that her time at NBC Sports Philadelphia has "come to an end." After two-and-a-half years, my time at NBC Sports Philadelphia covering the Sixers has come to an end. Thank you to all those who have followed along and welcomed me to Philly. Stay tuned. "We are realigning our strategic priorities but remain dedicated to providing comprehensive coverage of the Sixers. Unfortunately as a result, Jessica's position was impacted," NBC Sports Philadelphia said in a statement. "We thank Jessica for her contributions to NBC Sports Philadelphia, and wish her well in her next chapter. " The move comes on the heels of the departure of Sullivan, the network's Sixers sideline reporter since 2012. In an interview with the Inquirer and Daily News, Sullivan said she was shocked when she was told her contract wasn't being renewed, a move described to her as part of the network's decision to streamline its Sixers coverage. "I'm OK. I'm hurt. I'm crestfallen," Sullivan said. "It took less than a minute to be told I'm no longer part of the process." Despite the departures of Sullivan and Camerato, NBC Sports Philadelphia has confirmed that longtime play-by-play announcer Marc Zumoff and analyst Alaa Abdelnaby will return to call Sixers games next season. Taryn Hatcher, a former Comcast SportsNet Philadelphia intern, will join NBC Sports Philadelphia at the end of July. Camerato's departure comes a week after the network announced the hiring of Taryn Hatcher, a former Comcast SportsNet intern, as a multi-platform host and reporter who will cover the Eagles, Flyers, Sixers and Phillies. Hatcher, who has been a reporter for Hawaii News Now since 2015, will start on July 23. Despite Hatcher's experience as a sideline reporter for the Big Ten Network, she's not expected to replace Sullivan on the sideline during Sixers games. It appears Hatcher is likely to fill many of the roles once held by Marshall Harris, who was shown the door in April, when his contract expired. Sullivan's departure is just the latest in a series of high-profile exits that have come as the network has rebranded itself from Comcast Sports Philadelphia and shifted its programing away from original reporting to more opinion and debate, such as the recently launched telecast of Mike Missanelli's 97.5 The Fanatic show. It also comes as parent company Comcast is in a bidding war with Disney in the sale of 21st Century Fox's entertainment businesses, a deal that would include Fox's 22 regional sports networks. Hate to see what’s happened at @NBCSPhilly. Worked with so many great, talented people there—and now so many are gone.